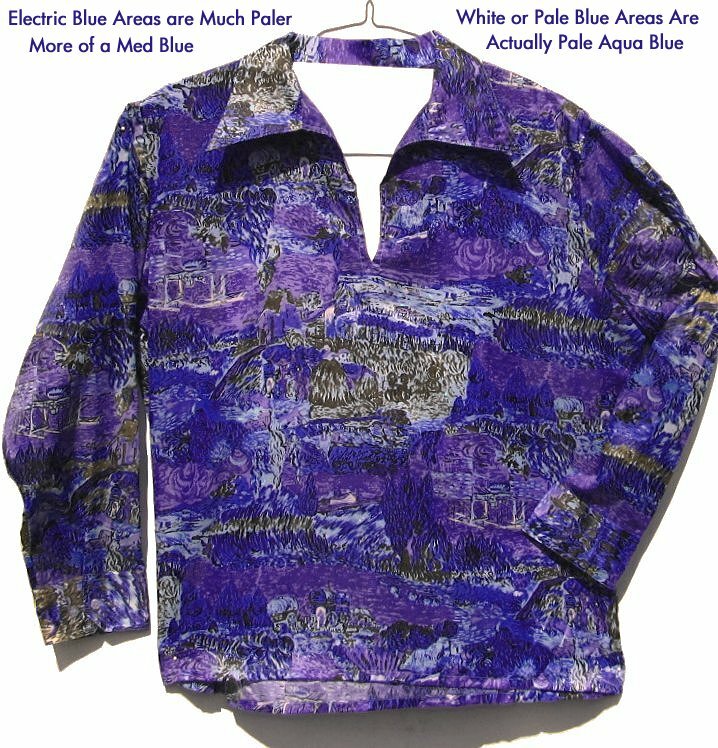 These never worn shirts are an explosion of color. This purple is close to being accurate, a true purple and some light purple. have more color being a pale turquoise or pale baby blue. There's also some normal dark brown and a touch of black. The shirt is made of extremely lightweight thin polyester, but sturdy. The cut is nice and roomy for wide stomachs or just for people who like room to breath. Pretty wide in the stomach area, good for a stocky person. Machine or hand wash after wearing. Hang dry. The length is approximately 28". It can be worn in or out. Colors are a bit Brighter in Person. Indicate under special notes when needed if less than 9 days.